Concise presentation of ENT in the attractive ICT format - clear line diagrams, colour photos of clinical conditions, summary boxes etc. 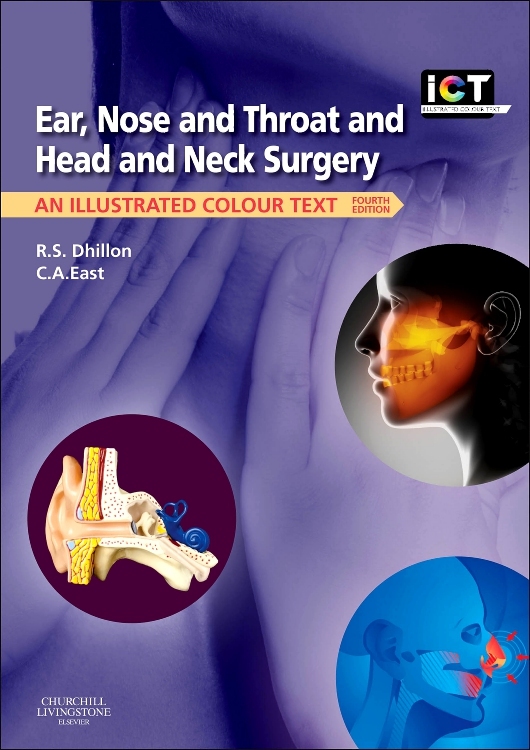 Covers a topic which is important in primary care - medical students and junior doctors are motivated to buy a book in this area. Basic anatomy and physiology is reviewed - useful revision for students in clinical years. Comprehensive coverage of both presenting symptoms and specific diseases, with more detail on the commoner conditions. Clear description of examination and investigation techniques. Basic concepts. Audiometry, vestibulometry, and radiology. Hearing loss - general introduction and childhood aetiology. Hearing loss - adult aetiology. Aids to hearing. Otalgia. Otorrhoea. Complications of middle ear infections. Facial palsy. Disorders of balance - introduction and otological causes. Disorders of balance - non-otological causes. Tinnitus. The auricle(pinna) and ear wax. Otological trauma and foreign bodies. Aural drops. Anatomy and physiology. Symptoms, signs and investigations. Allergic and vasomotor rhinitis. Nasal polyps and foreign bodies. Nasal infections. Nasal septal pathologies and choanal atresia. Facial trauma. Complications of facial trauma. Facial plastic surgery. Epistaxis. Acute and chronic sinusitis. Head and neck pain 1 Head and neck pain 2. Anatomy and physiology. Symptoms, signs and examination. Dysphonia - organic causes. Dysphonia - non-organic causes. Stridor. Laryngotracheal injury. Maintenance and protection of the airway. Postoperative care and complications of artificial airways. Sore throats. Tonsillectomy and adenoidal conditions. Dysphagia. Salivary glands. Snoring and sleep apnoea. Oral cavity. Foreign bodies. ENT aspects of HIV infection. Basic concepts. Neck lumps - introduction. Neck lumps - paediatric conditions. Neck lumps - adult conditions. Neck lumps - management of malignant lumps. Laryngeal neoplasia. Laryngeal surgery and post-laryngectomy rehabilitation. Neoplasia of the oral cavity. Neoplasia of the oropharynx. Neoplasia of the hypopharynx. Neoplasia of the nasopharynx. Neoplasia of the nose and paranasal sinuses. Neoplasia of the salivary glands. Neoplasia of the ear. Terminal care.